Please enter the required information below and click Step Two. Please fill in all required fields and correct the errors on this step before continuing. Please enter the required information below and click Step Three. Please enter your name as it should appear on the loan documents. YES: I AM a regular or reserve member of the Army, Navy, Marine Corps, AirForce, or Coast Guard, serving on active duty under a call or order that does not specify a period of 30 days or fewer. -or- I AM a dependent of a member of the Armed Forces on active duty as described above, because I am the member's spouse, the member's child under the age of eighteen years old, or I am an individual for whom the member provided more than one-half of my financial support for 180 days immediately preceding today's date. YES: I agree to receive notification regarding my account via text message. Please enter the required information below and click Submit. Next paydate in one week. Next paydate in two weeks. By checking this box, you agree to receive electronic disclosures via email. I acknowledge and understand Plain Green, LLC, is a wholly owned company of the Chippewa Cree Tribe of Rocky Boy’s Reservation, Montana; a Native American Tribe federally recognized by the government of the United States of America, and we operate within the boundaries of the reservation. You may reside in a state that does not recognize the sovereign lending authority of the Chippewa Cree Tribal Government and may consider the products and services offered by Plain Green as void under state law. By entering into an agreement with Plain Green, you are availing yourself upon the jurisdiction of the Tribe and fully understand and consent that any agreement entered into is subject to the laws and lending codes enacted by the Tribe’s federally recognized sovereign government. I understand that by clicking Submit below, I am providing “written instructions” to PG under the Fair Credit Reporting Act authorizing PG to obtain information from my personal credit profile or other information from credit reporting agencies in connection with this loan application. Please correct the errors and submit again. This may take a few minutes while we process your application. This Driver's License and Issuing State are actively associated with an account, please login to this account then fill out the application. Take a picture of the Front and Back of your license. It looks like you may already have an account with Plain Green Loans. Would you like to login and continue, or return to the form to verify your input? This Social Security Number is actively associated with an account please login to this account then fill out the application. This User Name is actively associated with an account, please use a different User Name or login to this account then fill out the application. Use Selected Amount & Submit. Please only apply for the loan amount you need. Consider your ability to repay before applying for a loan. You can prepay your loan at any time without incurring any penalties. Would you like to change your loan amount? Currently, Plain Green Loans does not offer loans to members of the Armed Forces and their dependents. You may have other resources available. Our system found the following address that most closely matches yours. Would you like to accept this address or use the one you input? 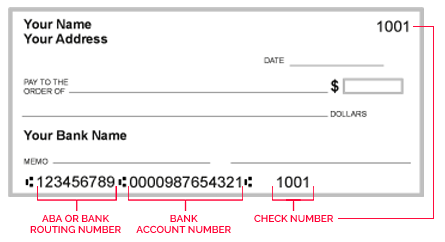 The bank associated with the routing number you selected is not available for online verification. You may be asked to provide additional documentation to verify your bank account and process your loan application. This may extend the approval time of your loan. There has been no activity on this page for more than 10 minutes. You will be automatically logged out in 20 seconds if no action is taken.